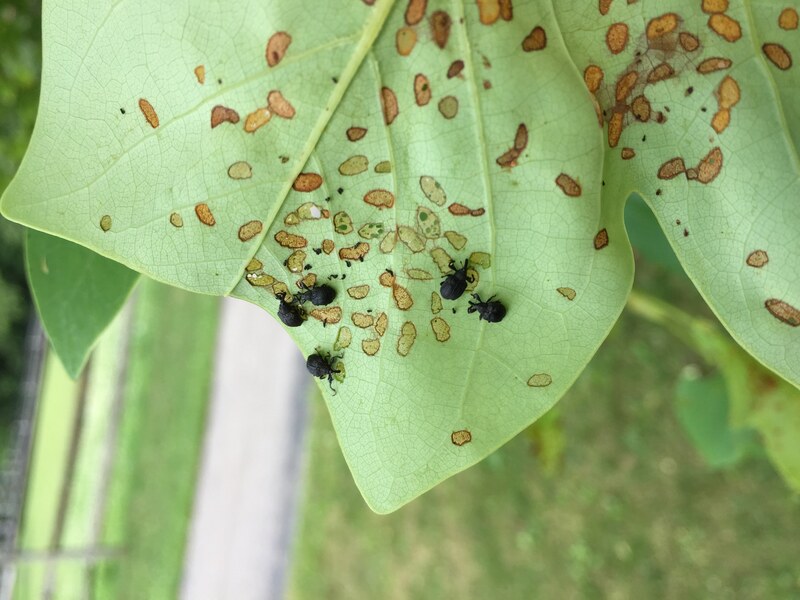 Yellow poplar weevils, Odontopus calceatus, can be a severe pest of tulip poplars and magnolias growing in nurseries and landscapes. Adults are blue to black. They are present throughout the state and throughout the east where ever their hosts grow wild. I seem to get most reports and see most damage in western NC and states further north where it is cooler. Occasionally yellow poplar weevil outbreaks occur during which they are much more abundant than usual. There is one generation per year. Adults overwinter in leaf litter then fly to trees in spring to feed and lay eggs in early summer. Larvae mine within the leaves. Larval mining and adult feeding causes blotchy mines and holes. New adults emerge in mid-summer, feed a little, then become scarce until the following year. 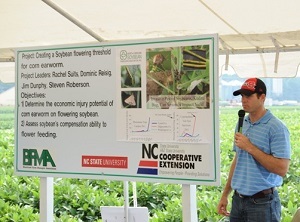 Adult feeding is probably about done for the summer in most areas but larvae may still be feeding. • When Do I Plant Spring Flowering Bulbs?